How many of you would love to travel through time? Maybe you just want to see how things end up in the future, or check out some major event of the past, or maybe you've just got a history test coming up and flashcards just aren't doing it for you. 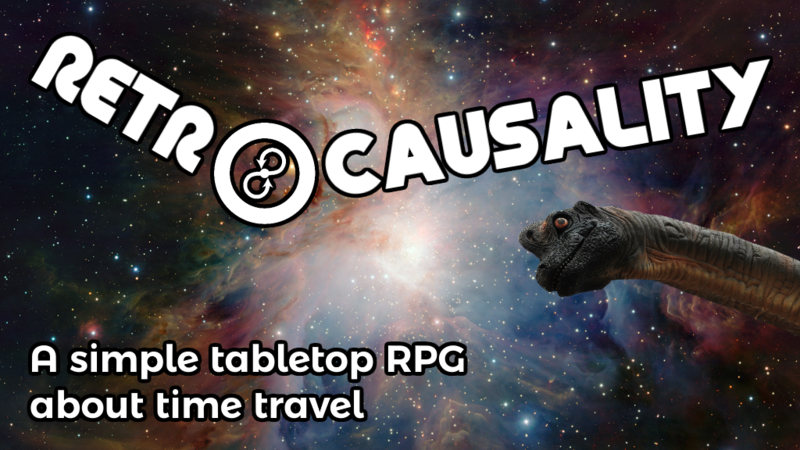 Whatever the reason, being a time traveler is what you'll be doing in Retrocausality, a time-travel RPG that's up on Kickstarter now. The Kickstarter has made it over their funding goal, but there's only 4 days left to get in on the action.